The internet is a great source of information for new flatbed drivers trying to figure things out. But it can be somewhat amusing to read online conversations between veterans and newbies. The newbies are desperately looking for answers while the veterans are using terms the rookies just do not understand. Sometimes they have to go back and forth for a while before both are speaking the same language. One of the hardest things about mastering flatbed trucking is learning how to cover loads. Truckers call this tarping, and it is a critical skill for succeeding as a flatbed driver. It helps new drivers to learn the terminology so that they can have productive discussions with veterans. Sometimes known as a flap, the tail is an extra piece of material that hangs off the back of the load. Some tarps have an additional flap for the front, in cases when a trailer doesn’t have a bulkhead. The point of the tail is to provide that added protection at the rear. As an added benefit, the tail also helps truck drivers better position their tarps by giving them a centering reference point. Every flatbed load has to be accounted for in terms of both width and height. The term ‘drop’ refers to the height of the load – from the bed of the trailer to the top. Let us use some simple numbers to illustrate this. A load that sits 8 feet high and 8 feet wide has a drop of 8 feet on either side. Covering the load entirely would require a tarp at least 24 feet wide. Remember that you have to account for the top surface as well as both drops. Seamstresses and tailors know the gusset as an extra piece of material sewn into a garment to allow for movement. In the truck tarp arena, a gusset is also one extra piece of material. But it is not there to allow for movement. Rather, the gusset serves as an extra rain flap. Gussets are sewn into each side of the tarp, along the back edge. Once the tarp is folded down to cover the drop, gussets are folded across the back of the load and over the top of the tail. It is a lot like that extra paper you have when wrapping a Christmas present. You fold it over on the sides and tape it down. D-rings are just what their name implies: rings manufactured in the shape of a ‘D’ and sewn into tarps at regular intervals. They are reinforced by extra material and stitching so that they do not pull out under load. The purpose of the D-ring is to provide an anchor point for bungee straps or a loop through which a webbing strap can be threaded. D-rings help keep tarps in place. Last but not least is the tarping system. This term is used to describe a complete system consisting of aluminum frame, tarp, and motor used to deploy tarps automatically. Such systems are found most often on dump trucks and trailers. But they can be used with side kits as well. A tarping system virtually eliminates all the work of deploying tarps. 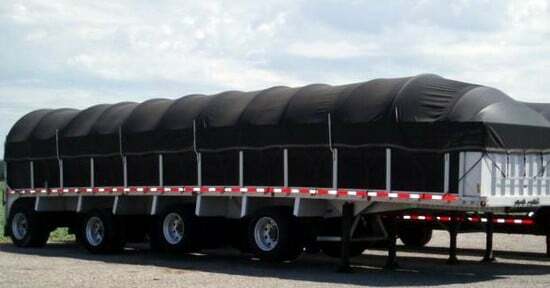 Now you know some of the most common tarping terms in the flatbed trucking industry, it is time for you to start stocking your truck with the tarps, straps, and edge protectors necessary for doing your job. You will find everything you need right here at Mytee Products. With winter fast approaching, you may find yourself using your side kit more frequently. Winter weather has a way of doing that. A good side kit with the right tarps may be just what a shipper is looking for before it releases that load you have agreed to carry. As with anything else you might purchase from Mytee Products, we always recommend taking good care of your side kit and tarps by paying attention to routine maintenance. Below are some tips for maintaining side kit equipment. Note that side kits come in standard sizes and configurations. Make sure you are using the right parts with your kit. Also make sure you’re using the right kinds of tarps. Remember that a tarp design for a site kit is a fitted tarp. It should fit tightly over the frame with no leftover material to flap in the wind. The rails that form the top of a side kit carry most of the weight of the tarp on top. They also provide plenty of contact points that could cause tarp damage. We recommend routinely inspecting rails to make sure there are no sharp points or areas of abrasion. Such hazards are pretty common in flatbed trucking. Perhaps you are not extremely careful about laying rails down on the bed of your trailer during disassembly. You may toss your rails into a pile as you’re working. That’s fine, except that it’s a good way to damage them. All we are saying is that you should routinely inspect side kit rails in order to preserve your tarps. The posts that came with your side kit should offer you many years of reliable service without issue. But posts wear out like anything else. They can also be damaged by rogue forklifts, shifting cargo, road debris, and a lot of other things. So routinely inspect them along with your rails. Any that are damaged should be replaced as soon as possible. Posts that are bent might be salvageable as long as the angle is not too severe. But note that the best way to straighten a bent post is by putting it in a vice and applying pressure evenly. If you simply slip a bent post into a trailer housing and yank on it in the opposite direction, you run the risk of harming its integrity. As previously mentioned, side kit tarps are fitted tarps. Every time you deploy one you should be checking to make sure that the fit is good and tight. Any loose fabric is a sign that the tarp might be wearing out. Of course, you should also be looking for rips and tears at the same time. If you notice an area of the tarp that seems to be wearing out at a particular junction where it makes contact with rails or posts, it’s a good idea to deploy a few edge protectors at that particular area until you can figure out exactly what’s causing the problem. It may take you an extra minute or two but inserting edge protectors could save you the cost of buying a new tarp. In closing, keep in mind that severe winter weather can do a number on your side kit. Just be extra vigilant during the winter months to do routine inspections and address any minor maintenance issues. Handling minor issues right away will keep them from becoming significant issues later on. 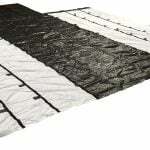 With all that said, feel free to browse our inventory of side kit tarps in preparation for the coming winter.